If you invest your savings to the purchase of some shares on the stock exchange, then you probably perform some analysis in order to select the right stock. Well, this is at least what you should do. Still, your own hard-earned money needs to work efficiently to make you enough profits for your retirement (or for whatever you want). In most cases, the investors, whether institutional or individual like you, look to a few measures. One of them is PE ratio (or P/E ratio). The price-earnings ratio tells you how many years of the same earnings you need to wait until you get the price you paid for the shares back. When PE is 10, then your investment into certain share will theoretically return back to you in 10 years (if all company’s earnings are paid out as dividends – that’s why it is purely theoretic). Earnings per share – it’s the denominator. Actually, you can get the numerator, or the market value per share, from the data on the stock exchange – not a problem. But what about the denominator – earnings per share? The earnings per share usually come from the company’s financial statements. And, in order to make this amount reliable and comparable, we have the standard IAS 33 Earnings per Share giving the guidance about how to present EPS. In this article, I want to outline the basic rules for EPS calculation and show a few examples. Why IAS 33 Earnings per Share? Who needs to present EPS? Whose financial statements are filed or in the process of filing with a securities commission or similar regulatory body for the purpose of issuing the shares in a public market. If you present both consolidated and separate financial statements, then you should present EPS based on the consolidated information. However, if you also disclose EPS on your separate financial statements, then you present “separate” EPS only there, not in your consolidated financial statements. Weighted average number of ordinary shares outstanding during the period. Here, it’s quite easy, because you consider only what has already happened, not what can happen in the future. In other words, you do not count with any potential ordinary shares and their effects (more about it a bit later). Earnings basically include all items of income and expense including tax and non-controlling interests LESS the net profit attributable to preference shareholders, including preference dividends. The weighted average number of ordinary shares during the period is used, but this number must be adjusted for all events that changed the number of shares during the period. So, you would be looking at issuance of the new shares for cash, buying back some shares, etc. Some complications might also arise with the bonus issues or rights issues – here, you don’t adjust the number of shares in the same way as with issuance for cash or buy back for cash. Instead, you need to adjust the number of ordinary shares before the event, as if the event occurred at the beginning of the period. Let’s illustrate the basic EPS on some examples. ABC company had a share capital of 10 000 ordinary shares of CU 1 each and 1 000 redeemable preference shares of CU 1 each as of 1 January 20X1. On 1 June 20X1 ABC issued new share capital of 2 000 ordinary shares (CU 1 each) for cash. In 20X1 ABC’s profit after tax was CU 20 000. ABC paid the preference dividend of CU 0.20 per share during 20X2 and it was included as a finance charge within the net profit. Earnings = CU 20 000Here, you don’t adjust earnings, because the question says that the net profit has already been adjusted for the preference dividend. Number of shares:This is a little more complicated here, because ABC issued some new capital for cash during the year. *Note 2: During the exam, you can use months instead of days. DEF had a share capital of 200 000 shares (CU 1.00 each) at 1 January 20X3. On 31 August 20X3, DEF made a bonus issue of 40 000 shares. Earnings in 20X3 were CU 30 000 and in 20X2 CU 25 000. The bonus issue simply means the issue of new shares to the existing shareholders without the corresponding increase in cash. What about the rights issue? The rights issue is different from bonus issue, because here, the existing shareholders get the new shares at the price below the current market value (not completely free as with bonus issue). Calculating EPS is more demanding here, because you need to come up with theoretical ex-rights price first and then you need to restate the EPS for the previous period and adjust both earnings and number of shares in the current EPS. Maybe I’ll solve one complex example for you in one of my next articles. Except for basic EPS, you must disclose also diluted EPS. Earnings: they could be affected by saving some expenses on potential ordinary shares, for example, when some loan converts to the shares, you stop paying the interest on that loan. Shares: naturally, when the potential ordinary shares convert to ordinary shares, the number of shares goes up and it dilutes the EPS. 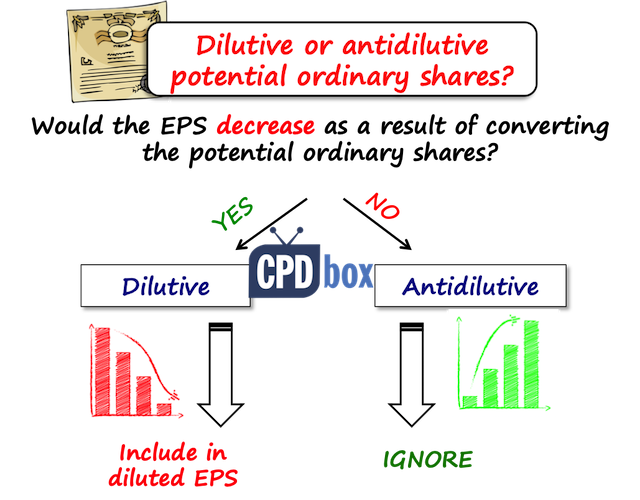 Some potential ordinary shares can have dilutive effect (your EPS would go down) and some can have antidilutive impact (your EPS would go up). IAS 33 requires ignoring antidilutive shares – you just present the effect of dilutive shares. How to measure diluted EPS? The formula for measuring diluted EPS is exactly the same as for basic EPS, but both earnings and number of shares must be adjusted for the effect of dilutive potential ordinary shares. I repeat: ignore antidilutive potential ordinary shares. You need to adjust these items post-tax. Please don’t forget that because this is a very common mistake either during the exams or even in the real-life financial statements. When it comes to adjusted number of shares, you always need to assume that all dilutive potential ordinary shares will convert at the beginning of the period. In 20X1, KLM had earnings of CU 8 000 and 25 000 ordinary CU 1.00 shares. On top of that, KLM had issued convertible loan stock of CU 10 000 with interest rate of 8%. The loan is convertible in 2 years at the rate of 1 ordinary share for every CU 4.00 of a loan stock. The tax rate is 20%. Calculate both basic and diluted EPS. The basic EPS is easy: CU 8 000/25 000 shares = CU 0.32 per share. Diluted EPS = Adjusted earnings/Adjusted n. of shares = 8 640/27 500 = CU 0,314 per share.Thus the dilution is earnings is CU 0,32 – CU 0,314 = CU 0,006 per share. Here, never forget to determine whether the potential ordinary shares (in this case, convertible loan) or dilutive or antidilutive. In this example, we could have done that very easily – just calculate the incremental EPS and compare with basic EPS. The basic EPS was CU 0,32 per share and the incremental EPS is 0,256 which is LOWER than the basic EPS. Therefore, the loan stock is dilutive (if it would have been higher, then the loan stock would have been antidilutive and you would IGNORE it). It is very easy to do it when you have just one type of potential ordinary shares, but if you have more than one, you should first determine whether it is dilutive or antidilutive. 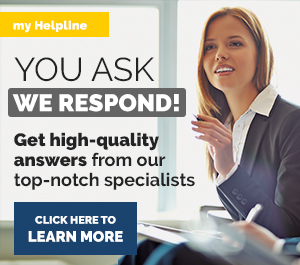 If you have any issues or questions related to earnings per share, well – comment, please! thanks m’am, I just needed it to pass my exam, perfect timing! Silvia, that’s great, i will refer my students, very good examples! I really found easy to comprehend. Thank you. Good morning. Hope you are fine with good health. Thanks for your valuable topics as sent by you. Dear Mohammad, thanks a lot for your appreciation! 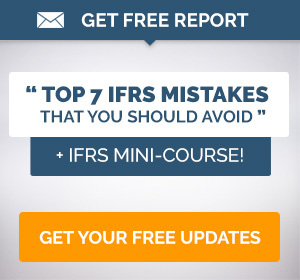 Yes, I’m fine with great health – hope the same for you 🙂 S.
I love your IFRS videos! They are so great! Thanks a lot for doing this. Dear Silvia, you did a great job, you save my time. 4 ways on how to improve Basic earning per share!? The company has YE of 28 February 2017. Incorporated on 17 February 2017 and shares issue listed on 9 May 2017, no other activity. No. Shares at YE is 1,000,000. What would be the weighted average of shares? Hi Silvia..Can u please tell me what would be the treatment of partly paid shares in case of Basic and diluted EPS?Kindly explain it through any example. Did you mean that we should be excluding non-controlling interests instead of including when it comes to consolidated statements? I think IAS 33:A1 mentions that we should be adjusting for NCI since we are only considering earnings attributable to the parent. Thanks. Oh, thank you, Tinashe, I really wish you pass the next time! 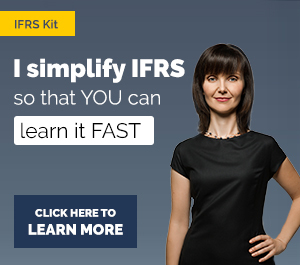 S.
Thank you for making IFRS simple for our understanding. I just read it and feel like that it is going to remain in my mind forever. It is so well explained. I am really thankful to you for this genuine effort you are making in regard of IFRS teaching.